Since the beginning of the year, we have announced strategic investments of over C$80 million aimed at optimizing equipment and processes, and incorporating new technologies into the manufacturing processes at several of our pulp and wood products operations in Quebec. On June 5, during our Forum boréal tour, President and Chief Executive Officer Yves Laflamme announced an investment of $4.1 million in the Maniwaki sawmill, located in the Outaouais region, to upgrade the kiln and dust collection equipment and to replace the board optimizer. During the previous week, the company announced it is investing $8.8 million in the Outardes sawmill, located in Quebec’s Côte-Nord region, to replace secondary breakdown equipment on the main saw line and the board optimizer, as well as to improve the automated lumber grading system and convert the electrical heating system. Other improvements are planned in the boiler area to supply additional power and for lighting. On May 28, Julie Boulet, Quebec Minister for Tourism, Minister responsible for the Mauricie region and representative of Laviolette County, attended our press conference at the Produits Forestiers Mauricie (La Tuque) sawmill, where we announced $3.5 million in upgrades to the main saw line by replacing the log sorting system and some of the primary breakdown equipment. 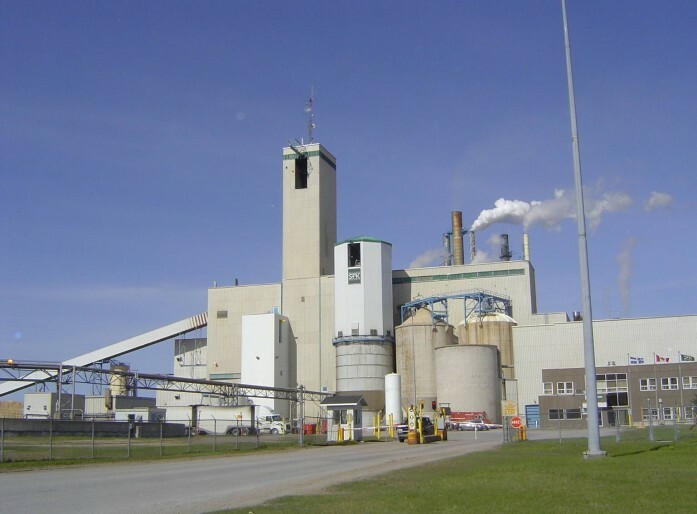 During Resolute’s May 14 press conference attended by Quebec Premier Philippe Couillard, Yves Laflamme unveiled an investment plan totalling $52.3 million for the Saint-Félicien pulp mill in Lac-Saint-Jean. The investments will focus on increasing the mill’s average daily production capacity by 76 metric tons and reducing greenhouse gas emissions from the use of fossil fuels by 20%. On April 30, we announced investments of $13 million in our La Doré wood products facilities, also located in Lac-Saint-Jean. The investments will serve to rebuild the infeed section of the sawmill and to add multiple programmable logic controllers (PLCs), allowing each log to be better identified, used appropriately and optimally cut. We will also implement a new lumber packaging system in the planer mill, using prototypes developed by manufacturers from the region. Finally, we will add two new electric boilers to generate the quantity of steam required during the drying process. In January, we earmarked $5 million for the Senneterre sawmill in the Abitibi region to replace the log sorting system optimizers, to upgrade the PLCs and controls, to add a curve sawing module, and to improve other equipment.